Moving in and out of accommodation for students is hard enough, let alone if you are doing it across different countries or even continents. Moving all your possessions from your home to your new accommodation in the UK can be pretty daunting, but it needn't be. 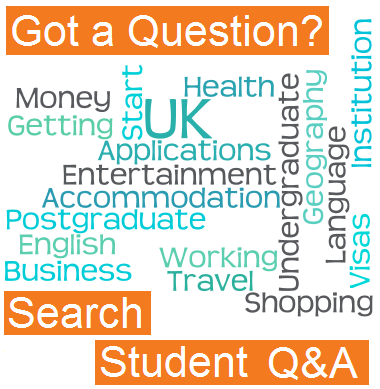 There are dozens of companies, who specialise in moving international students between countries, making it as easy and as cheap as possible for you. You can choose exactly what service you want to use. If you simply want to ship your belongings to the UK and pick them up from the airport or port, that's fine. If you want to hire a van and move your things yourself between houses in the UK, that's also fine. Equally, if you want to pay someone else to do the whole process whilst you focus on other things, then why not make life easy? If you're looking for help moving house, MoveMe is a great way to make sure you get the best deal. Simply give your details and get instant quotes from removal companies or Man and van hire, depending on your needs. Excess Baggage is the leading name in baggage shipping and the number 1 choice for student shipping. They ship all over the world and guarantee a reliable, fast and flexible service, with easy, convenient drop off facilities.